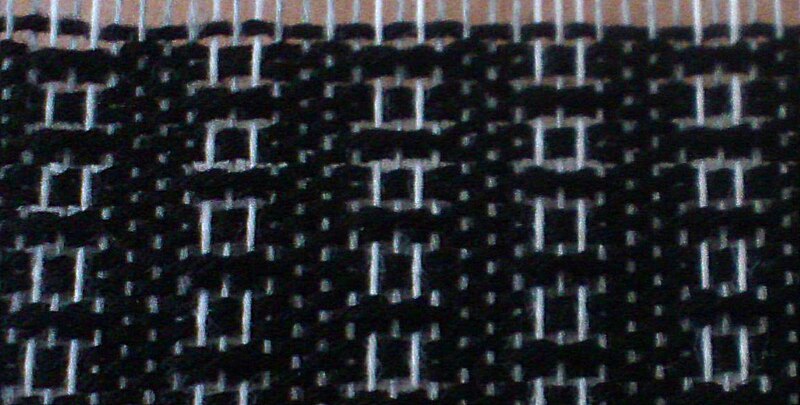 So I’ve been a bit obsessed with the honeycomb weave recently and decided to do a scarf to play with the weave more. The result is very elegant, but it’s not very honeycomb! This was a lesson in over-fulling. 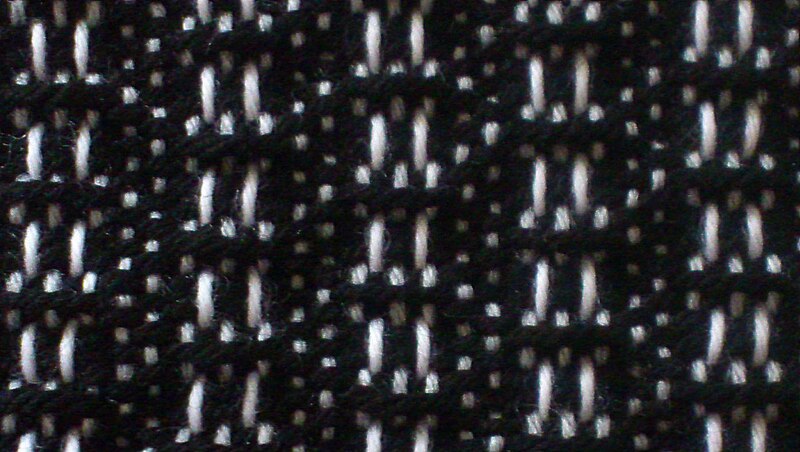 Notice how most of the warp has vanished in between the rows of lace? 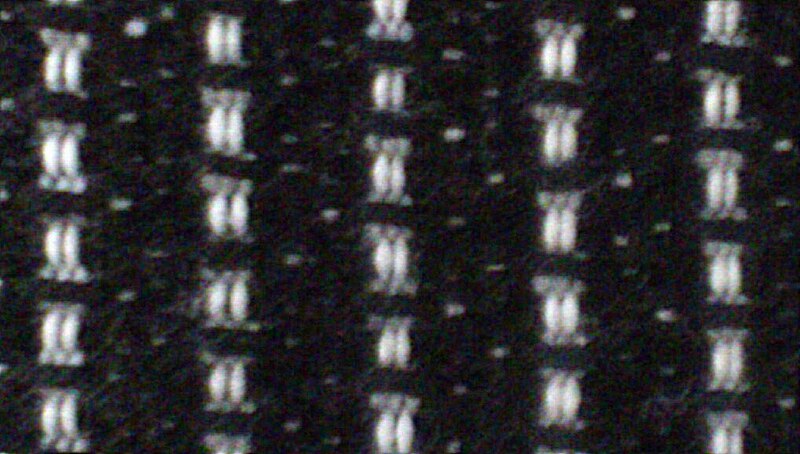 That’s not because the photo is blurry – it fulled and made a weft faced cloth! Now I didn’t full this more than I usually do. The problem here was just that I really didn’t need it to full at all and should have given it a much shorter, cooler bath. Of course this is why you should take your samples all the way through the process. I’ll admit I hadn’t washed mine! Still, the scarf itself has a great 3D texture and the overall effect is lovely. Naturally there will be another attempt at this weave in the future. It’s just too cool not to try again! You don’t need to do much reading about weaving before you come across people talking about “fulling”. 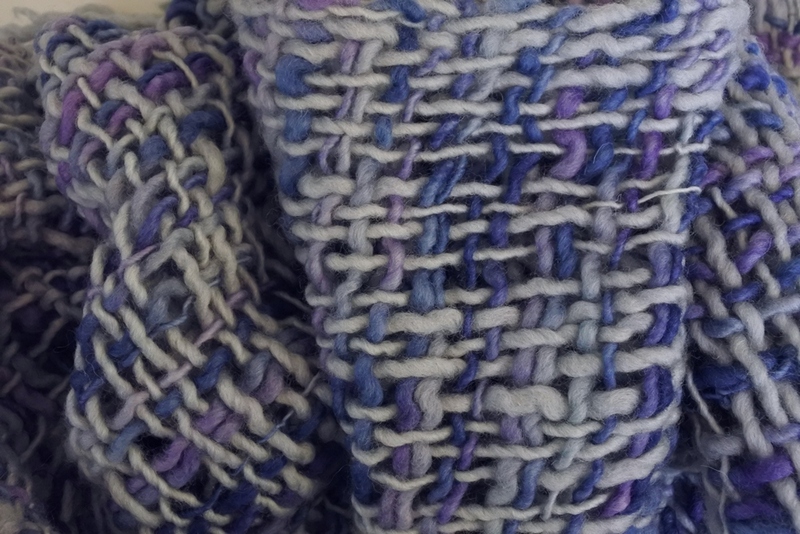 This is what happens when you agitate woollen cloth in hot water; each strand begins to mesh to the strands around it creating a thicker, warmer, fuzzier fabric. You control the amount of fulling with different temperatures and techniques. 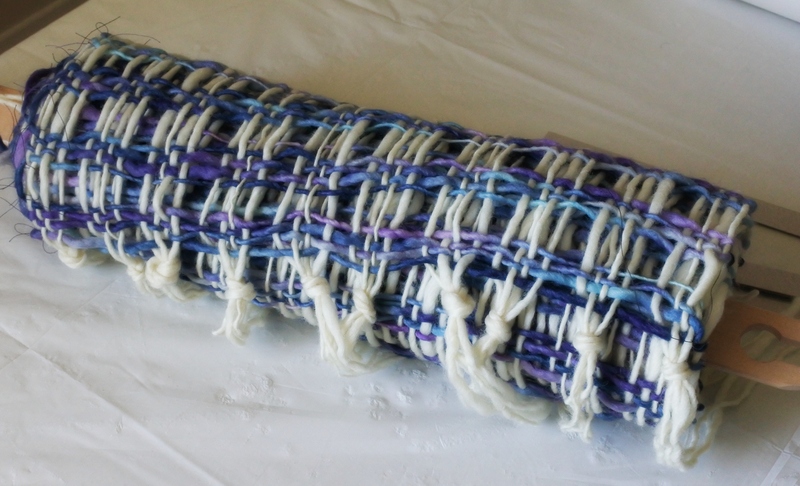 Some people full by hand, others in a washing machine or dryer, but you need to keep an eye on the process, as different yarn will full differently. Some yarns apparently get to a point where the fulling takes off and in no time they go beyond what you hoped for! Traditional fulling was often done by walking on the cloth (the surname Walker comes from this) and pounding or hammering were also often used. Kind of makes me feel sorry for the cloth. Look at how that fringe bloomed! Obviously, some fibres don’t change much at all (particularly synthetics) and “superwash” wool doesn’t behave the same way as other wools because it’s designed for machine washing. 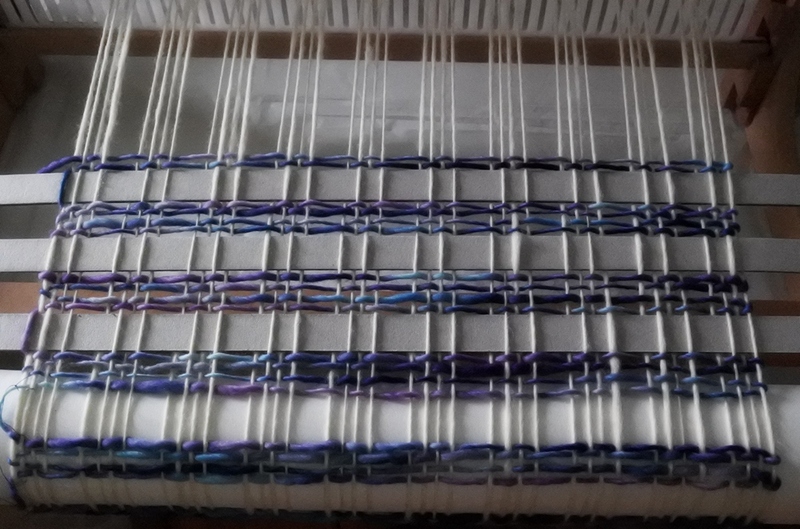 Don’t confuse fulling/blooming with the results that a nice hot, soapy bath will have on any fabric freshly off the loom… all cloth will relax and soften as the water helps the fibres settle around each other and washes away any additional chemicals in the fibre.